With Lula’s first birthday right around the corner our team got to thinking about how we could celebrate all we’re thankful for on this crazy ride we now call our careers. After discussing how best to celebrate the holiday, we decided we wanted to highlight performers who encompass the spirit of the industry we know and love with their talent, heart, and dedication to the history of country music. It is not lost on me that both myself and our editor, Morgan, chose shows that revolved around classic country in one form or another. There are so many new artists to celebrate, but our industry wouldn’t have a leg to stand on were it not for the pioneers who began the recording process back in the 1920’s in Bristol, the folks who got up on stage night after night to broadcast their voices over WSM at the Opry, the women who fought back then and are still fighting today for fair airplay, exposure, and representation, and the good natured men who stood by those women as they worked so hard for their own success. 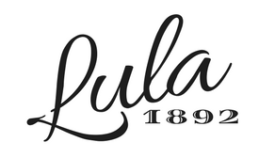 2018 has been a remarkable year of live music for Lula 1892, and I’ve experienced shows from Dierks Bentley to Chris Stapleton to Reba McEntire, but the show I am most thankful for took place in a small Virginia mountain-town in a 250-seat theatre with no fancy sound equipment and no special effects. It is often the intimate venues and the simplicity of someone pouring their heart and soul into a single microphone that makes for the best experience, and what an experience Tayla Lynn and Tre Twitty provide their audiences. Conway Twitty and Loretta Lynn are arguably two of the most iconic, untouchable names in country music, but spend some time with their grandchildren and you’ll feel like a member of the family. 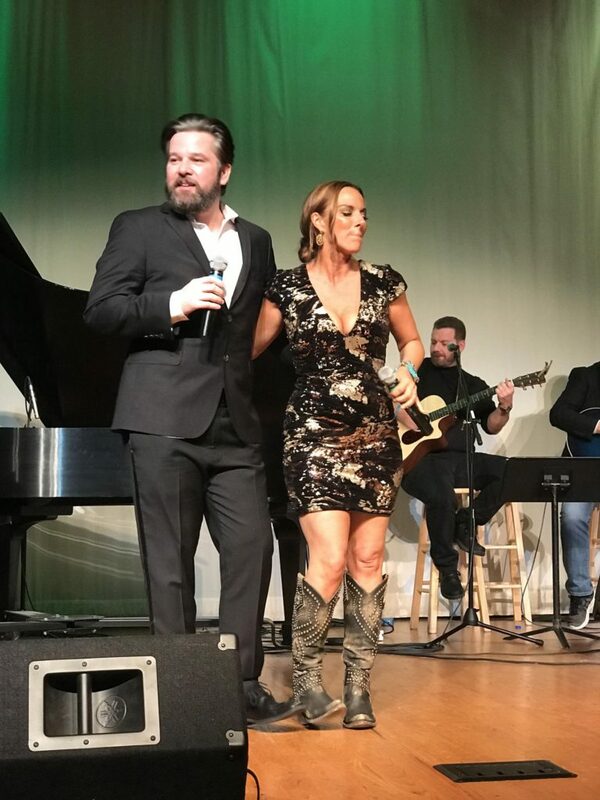 With a show designed to honor their heroes, Lynn and Twitty allow audiences to step fully into their lives and take a touching walk down memory lane. Lynn and Twitty start their concert on an up note with a rousing rendition of “Louisiana Woman, Mississippi Man” and from the beginning their roles in relation to one another are clearly defined. Twitty takes a calm, methodical approach to his storytelling, meanwhile Lynn arrives on stage with explosive energy. Simply put, trying to keep one’s eyes on Tayla Lynn is like trying to lasso a firework. Guessing where she’ll appear and what will come out of her mouth next is half the fun of spending an evening with her. Her joy is genuine, her energy addictive, and Twitty provides the perfect balance of steadiness in the eye of her hurricane – not unlike the way Conway Twitty related to Loretta Lynn for so many years. For some younger fans of the original duo, seeing Tre and Tayla perform is as close as they’ll ever get to seeing Loretta and Conway live. There is, however, no “second best” quality to the singers. Lynn and Twitty have developed an authentic show that belongs to them and them alone. While Tayla and Tre do not seek to become their grandparents on stage, their grandparents also couldn’t deliver the show these two have carefully crafted. There is as much, if not more, storytelling as there is singing throughout the two and a half hour performance. For most this wouldn’t work; people pay to hear singers sing. For Lynn and Twitty, half the magic is in the storytelling. Through their memories of Memaw and Poppy, as they call their grandparents, we are reminded in the best ways possible that behind every icon is a dynamic, funny, flawed human being. The show often takes on the quality of a family get together, and it often feels more like you’re on the front porch with guitars and old family hymns than it does a concert with two hundred of your nearest and dearest strangers. It is a fascinating opportunity to see two of country music’s greatest legends through their grandchildren’s eyes. By the end of the evening audiences have not only been able to hear some of their favorite songs and the duo’s best hits, but they’ve been invited in to the inner sanctum of these two musical dynasties to laugh and cry and understand what it was like to grow up under the tutelage of Loretta and Conway. Trying to explain the heartfelt emotion and the connection these two artists foster with their audiences is nearly impossible. It’s something you have to witness for yourself to understand. Twitty and Lynn don’t get on stage so they can copy their grandparents or so they can try to out-sing them on the songs they wrote. They leave their homes and their families weekend after weekend, knowing full well the sacrifices they are making, so that they can preserve a legacy that was built into them. The love Loretta Lynn and Conway Twitty had not only for their families, but for one another as best friends, is alive and well in their grandchildren. You can see it in the way Tre takes a split second pause before he starts in on “Hello Darlin”, in the way Tayla smiles right up to her eyes when she begins a new story about her Memaw, in the way they hold each other up on stage while they share their own friendship and history with the world. You can’t do that in an arena. You can’t do that with light changes or pyrotechnics or all the auto tune in the world. It absolutely must come from the heart. I had the privilege of sharing the evening with two of my own family members; two women who I look up to the same way Lynn does her Memaw and Twitty does his Poppy. I’m thankful I had the opportunity to sit in the audience and watch my own family delight in their stories, sing along quietly to the songs they knew, and reminisce about times gone by with two of their musical contemporaries as sung by two of mine. I’m thankful for Lynn and Twitty putting this show on night after night in city after city because they highlight what truly matters in this crazy, mixed up industry so many of us devote our lives to: love and friendship matter more than anything, you never forget the things your heroes taught you, and despite what so many country songs tell us, you can always go back home, even if only in a memory. Tre Twitty and Tayla Lynn tour often, and are headed up to Canada for a series of holiday shows throughout the beginning of December. Visit www.taylalynn.com or www.tretwitty.com for more dates. This is a show you’ll be glad you caught.